Buffalo NY is one of my favorite places to take pictures. Yes, Buffalo! There are so many wonderful locations throughout WNY, my 10 acre studio, tons of parks, our gorgeous city, the waterfront and the beach. Clients often have a tough time choosing where to go for their Buffalo photography portrait session locations. My goal with this page is to ultimately help you to make choosing the destination and time of year easier by showcasing a few images from some of my favorite sessions from each season of the year at various locations. Here are some of my images from all over Buffalo and WNY, including my studio. Each session is so near and dear to my heart. Your Home – I love photographing in clients homes when they want to really capture day to day life and add a few formal portraits to the mix. Capturing day to day life of emotion and activities is so much fun for me. Wether its making cookings, reading books, a child’s night time routine, pool time, whatever it is, I would love to capture it for you to cherish forever. WNY Beaches – I love, love, love photographing and the beach. My soul is so a peace when I am by the water. People often look at my beach images and ask where was that taken, not in Buffalo? I love capturing amazing sun kissed glows and sunsets. Even those hazy beach days produce some pretty stunning images. And if there is a storm planning to happen, even better, because the skies will be amazing! 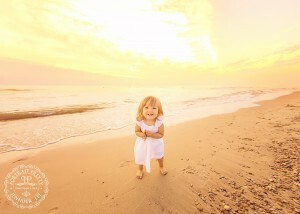 Portraits at the beach is one of my most sought after locations. Enjoy some of my favorites from our WNY beaches. Metro Downtown Buffalo – What I just adore about our city is our fabulous architecture, urban backdrops, elegant hotels, cobblestone district, history museum and galleries. Depending on the look you are going for, I have my secret spots to suit anyone and everyone. PIN THIS IMAGEDeleware Park – This has quickly become a favorite of my clients sessions. I know the park inside and out along with the lighting at various times of day. There is a ton of variety to choose from at this location. There are water elements, tons of beautiful trees and scapes as well as cool bridges and pathways. Buffalo Botanical Gardens – Sometimes the weather just doesn’t want to cooperate an option I always give is photographing at the Buffalo Botanical Gardens. There are tons of options, including a small bridge, waterfall, and tons of foliage. PIN THIS IMAGEKnox Farm in East Aurora – During all four seasons this location is very high demand when people see the diversity in my portfolio. 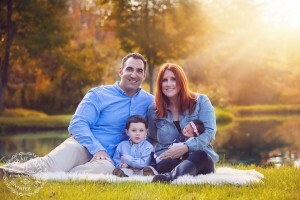 From snowy winter days to, gorgeous fall foliage Knox farm is just a photographers dream. There is so many options to offer senior sessions, family sessions as well as children’s sessions. Tall grassy fields, tree lined roads, huge red barns, and rustic horse stables make this location so much fun to photograph at. PIN THIS IMAGEThe Village of East Aurora – The images can be taken in any town, but I choose the village of East Aurora as I just love the lights of the theater as well as the cute umbrellas located outside the ice cream shop, it just makes for an innocent and fun feel to the portraits. You can do family portraits here, children and seniors, this is done at my secret time of day to get all the lighting just right so keep that in mind when inquiring for a sessions like this me. Green Lake in Orchard Park – One of my favorite places, you get the lake, beach and tons of trees and gorgeous light. There is so much to choose from at this location. Chestnut Ridge in Orchard Park – Chestnut Ridge is huge, if you choose chestnut ridge state park you have tons of options, huge treed scapes, large pond, treed pathways and small creeks. Glens Falls in Williamsville – A small quaint park in the village of Williamsville offers a gorgeous waterfall, small pond, stone bridge and tons of trees. A challenge with this location is, it is small and usually packed, expect people watching during your portraits as well as waiting for certain spots. WNY Creeks – I have had quite a bit of requests for creek sessions, my preference is a creek located in the Southtowns, it offers a nice scape for portraits as well as a waterfall. WNY Woods – I do a lot of sessions in the woods, especially maternity and high school senior portraits. The woods give a whimsical fairytale like feel to the portraits.